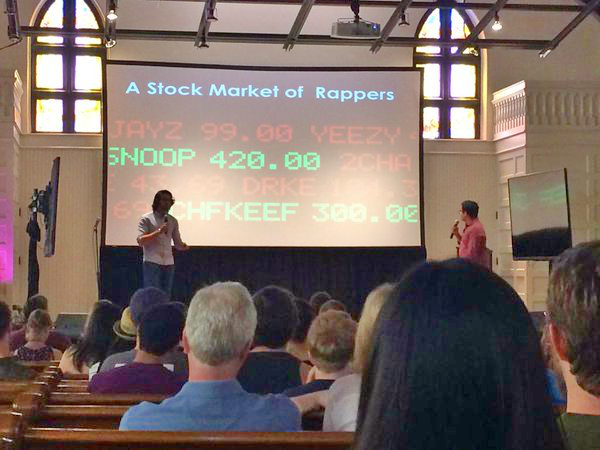 RapStock.io is where hip hop meets the stock market. Think of it as a game similar to fantasy football but for rappers. Players invest virtual points in hip hop artists they think will become popular. They compete for bragging rights by investing in artists who they think will become popular eventually. The 'stock price' for each rapper was determined by combining artist popularity metrics from Spotify hourly.